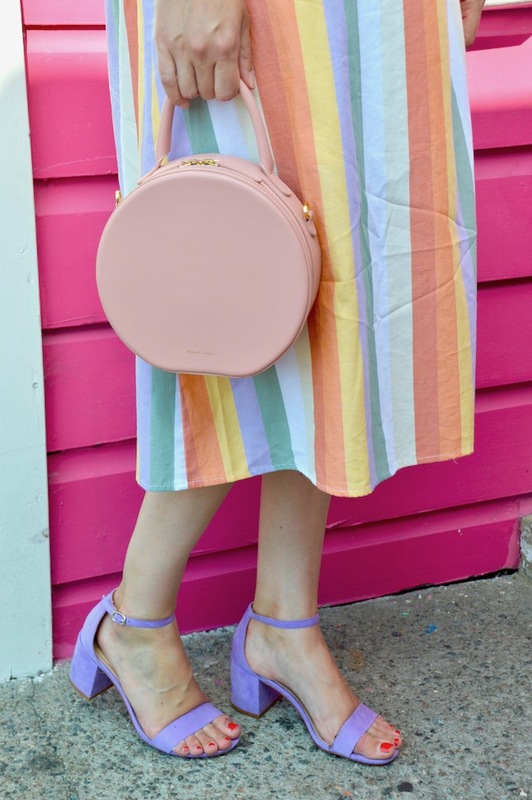 When I was swiping through Instagram and I saw another blogger in this multicolored striped dress, my jaw dropped. 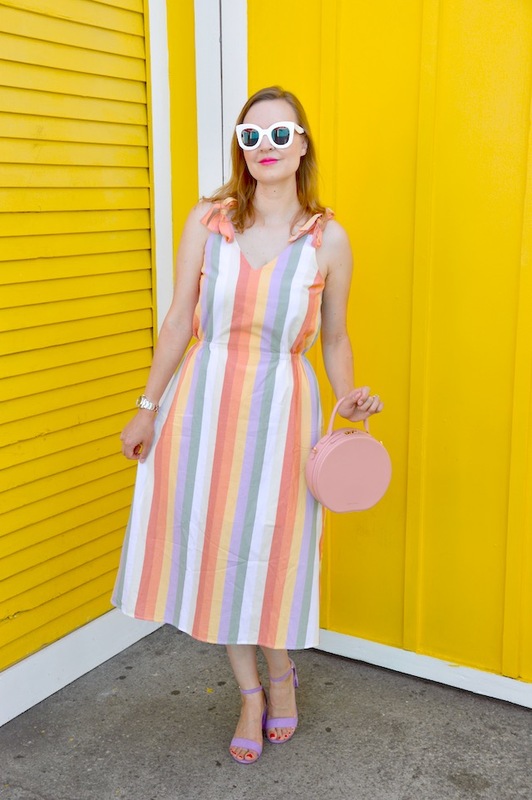 My reaction was prompted, first and foremost, by the fact that the dress is gorgeous and, secondly, because I couldn't believe it was from Target! 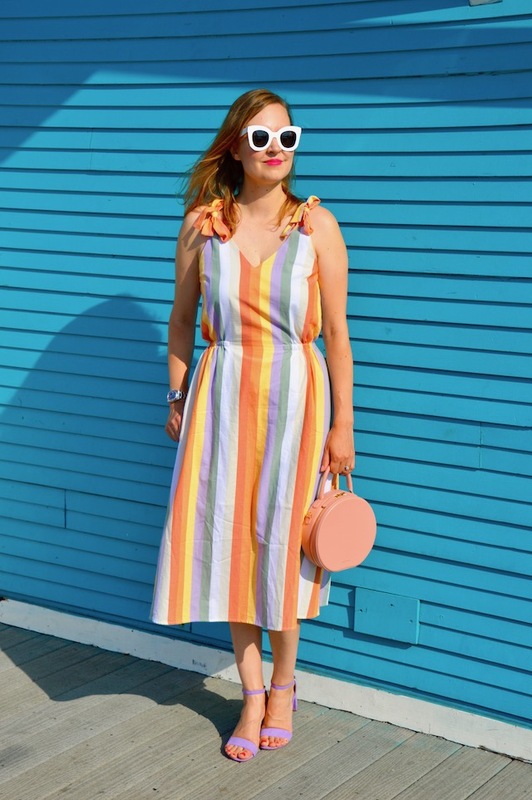 Just a few days prior to seeing this dress, I was looking at a similar dress from a designer that was hundreds of dollars, so you can imagine my excitement when I found this dress for under $30! 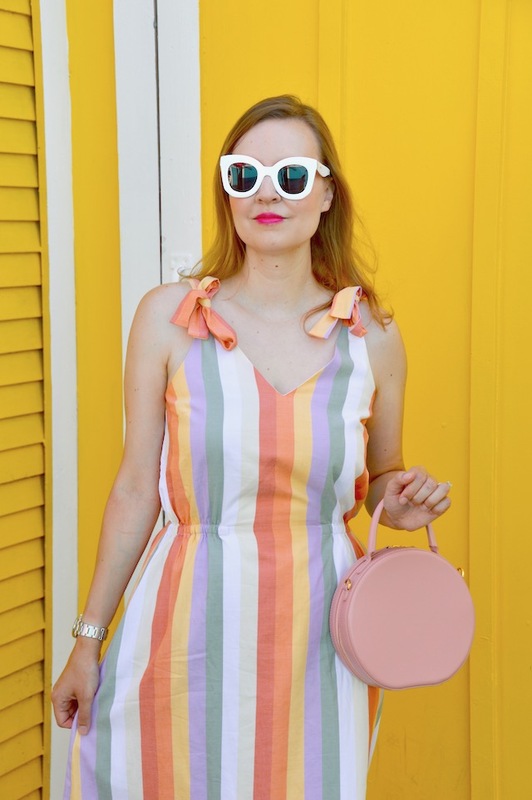 Indeed, when I posted this dress to my Instagram account, many people echoed my "That's from Target?!" reaction as well! 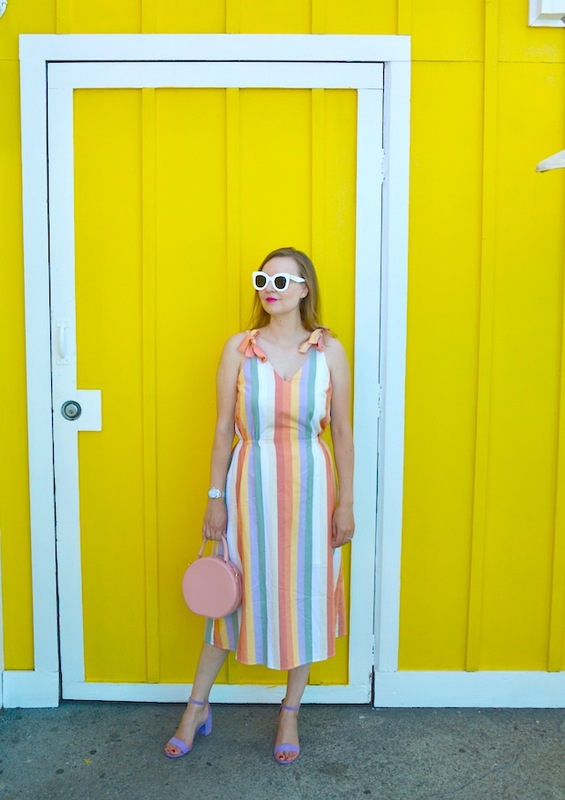 I wore this dress for a leisurely stroll through Shoreline Village in Long Beach, California. Although I've been there a couple times before, I never realized just how colorful it is until now! 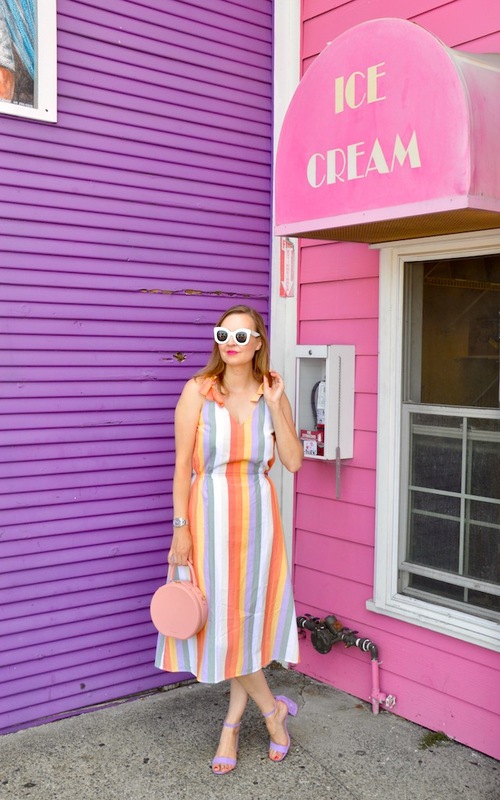 (I think I probably last visited before I had my blog, so my eyes were not yet trained to constantly be on the look out for color!) Anyway, this dress was perfect, comfortable and cool for exploring the shops, restaurants and entertainment there. 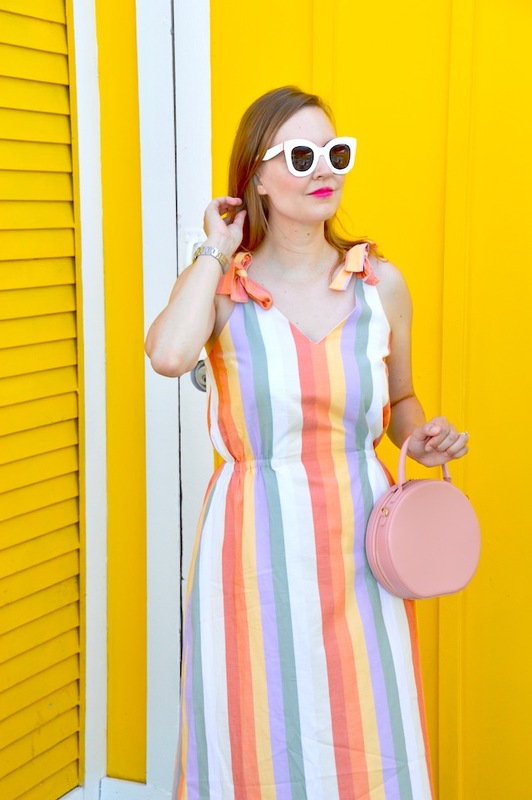 All in all, I would say this dress is among the most perfect outfits one could possible wear for summer! This is such a beautiful dress! 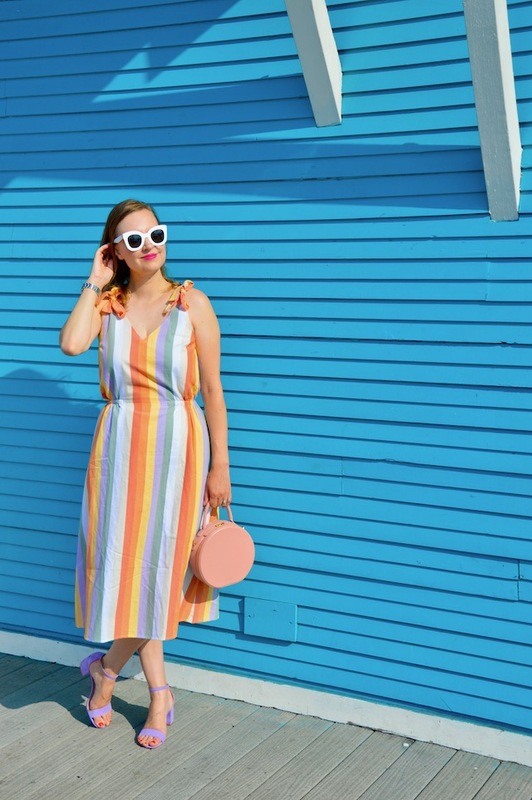 Loving the colorful stripes on this and the easy fit. What a great find! Target has been killing it in the style lately! 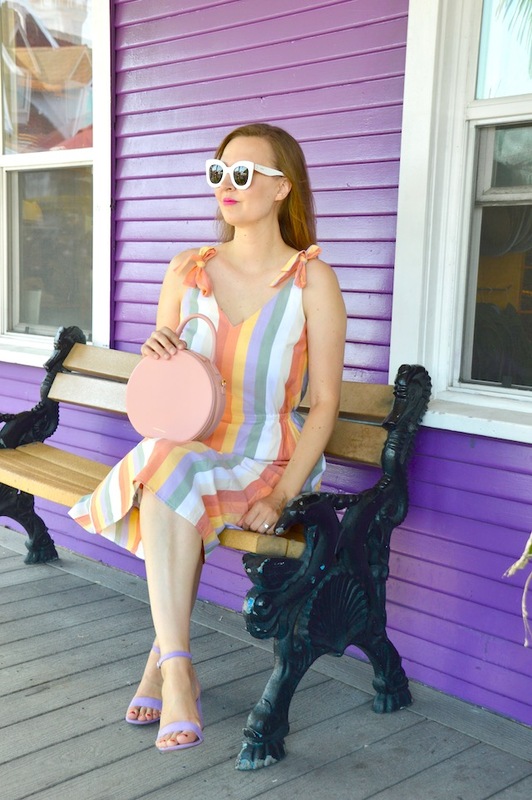 This dress is just adorable and I love those lavender shoes with it!